Are you a postpaid airtel customer? You might be surprised with very little info available on the web for postpaid customers. Well, in this post, we’ll go through all those useful airtel postpaid sms shorcodes that every user must know. On postpaid, we don’t have account balance, instead we’ve outstanding unbilled balance because we don’t need to have talktime on our number to make call. Use first, pay later – That’s the concept of Postpaid connection. So, we don’t need to worry about making recharges and top-ups prior to engaging in hours of calling. This leads to heavy usage as customers are ignorant of their usage pattern and thus resulting in heavy bill. So, it’s always advisable to keep track of your usage. In our recent post, we wrote about how to check reliance postpaid number details. 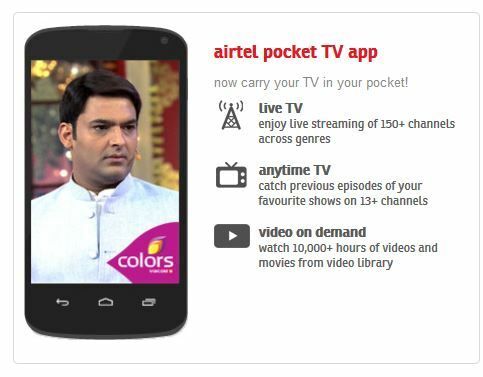 Now, it’s time for Airtel. To know your unbilled outstanding amount i.e. amount that has not yet been added to the monthly bill but has been charged to you – Type UNB and send it to 121. You’ll soon get a sms with details of your recent unbilled usage. To know your total outstanding amount i.e. 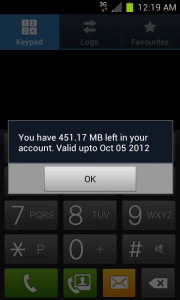 the amount that is due on your airtel number, type OT and sms it to 121. To find out the details of your last generated bill for your airtel postpaid number, sms BILL to 121. You can even know about your current bill plan by sending sms BP to 121. You can also track your previous payments details by typing PAY and sending it to 121. You’ll then receive sms with payment details of last 3 payments. To find all these and other details on your airtel postpaid number via USSD, just type *121# and hit on call button from your mobile. Follow the instructions as displayed on screen. For more details, just hit on the image above and also store the image on your mobile or computer to keep it as reference in case you forget. thanks lot bro…………..and one more thing i have 600 free minutes on my numb so how to check those things……….culd u plssssssss…………. I have 360 free minutes on my number so how to check those thing…….? mine is a company number which the bill will be paid by the company but I am getting the messages frequently Rs 99 is charged.my number is 09567869674.can you just tell me what is that for. Right now, I am residing since July 2014 in Sector -29 LIG Pkt, Rohini, New delhi-49, I have two air tel numberbut both are lying dead as there are no/poor signal. Please do the needful. Actually I wanted to check my postpaid bill details with the help of given web site by you but I didn’t get it .please don’t make the procedure so complicated as we people can’t get details.will you please make it simple? how to check free minute ????? in plane…..???????????? How to check bill payment in airtel post paid if any customer care number? I need call details postpaid no. Please reply me..
we are not reciveed the bill and other detail from the side of airtel . i am also not get good service . so help me . I think the airtel dont have the answer of how to check the remaining postpaid minutes in account…. so its not goood its very disappointing to customers so my request to airtel to start facility for the same so user could know the remaining minutes in their account……..
my previous balance amount Rs.600.08 not adjusted so far for my same number which is converted from prepaid to postpaid. how can i know my cug call history, as in the bill they haven’t given the column for cug to cug calls. i have 840 minutes free so how can i check my balance minutes. plz advise how I can get my bill..
my number is 9840040099. I have taken international roaming package of Rs.3999/- effective 22nd May 2017. I got a bill for Rs.5000 plus. As per plan I am told I can make calls from US for 500 minutes, all incoming are free, all sms are free, etc. The bill is only for the period 22nd May to 27th May. I would have hardly made call to India for less than 20 minutes. How can I find out the cause for such an whopping bill for 5 days???!!!! Airtel is very worst service. Without seeing the billing plan, they are preparing the bill. Customer service is very poor. Compared with other compeditor, Aitel is very high. Thinking of parting with Airtel. But airtel 3G net has not yet connected. why it’s happening. pl. help to connect, otherwise connection will be surrendered. my airtel number is blocked. I have done all the payment time to time from beining. Their is no due from our side. Details are below mentioned & already i have sent all the payment receipt. Note : We Port Ph no 8553015627 Airtel to Idea on 15.03.2017. Its Activated on 24.03.2017.I have paid Rs 350 on 15.03.2017. My plan is 548 & Unlimited Loc & STD calls & 12 GB Internet Free..Its my plan. Then how it’s come Rs 1348 bill in 15 days.. And you are not giving last invoice bill also. Have you cheating customers. Please inform me about my last pAhmet made…. pls advise me how to check and get my bill? How do I get call history for my Airtel postpaid number? Sir,pls sent my aircel postpaid bill amount inform to me any one .Very very urgently .I have required .My aircel no is 9865111961. Alater native no is 8220999155 and reply to my mail.I’d. .plzz. 1.How can I find my plans history for Airtel postpaid i.e. which plans I was using? 2. How can I find out when were old plans introduced & retired? 3. How can I find out when is current plan expected to be retired?